It’s been quite a journey since March 27th when I was at National Religious Broadcasters Convention in Anaheim. I was hardly settled in when, at 3:30 AM on Tuesday, Ken rushed me to the ER. I could barely draw a breath and had chest pain. The preliminary diagnosis was at first gloomy, but over time the assessment was much brighter. Basically, over the many years, my chronic quadriplegia has put a strain on my heart and lungs. The good news is, doctors believe that with medication and with a more efficient way of breathing, my condition can be reversed. My assignment over the last 14 days of hospitalization was straight out of Acts 20:24, “But life is worth nothing unless I use it for doing the work assigned me by the Lord Jesus – the work of telling others the Good News about God’s almighty kindness and love” (TLB). When nurses and aides, respiratory therapists, and doctors asked how I was doing, I could say, “Jesus gives me His peace. 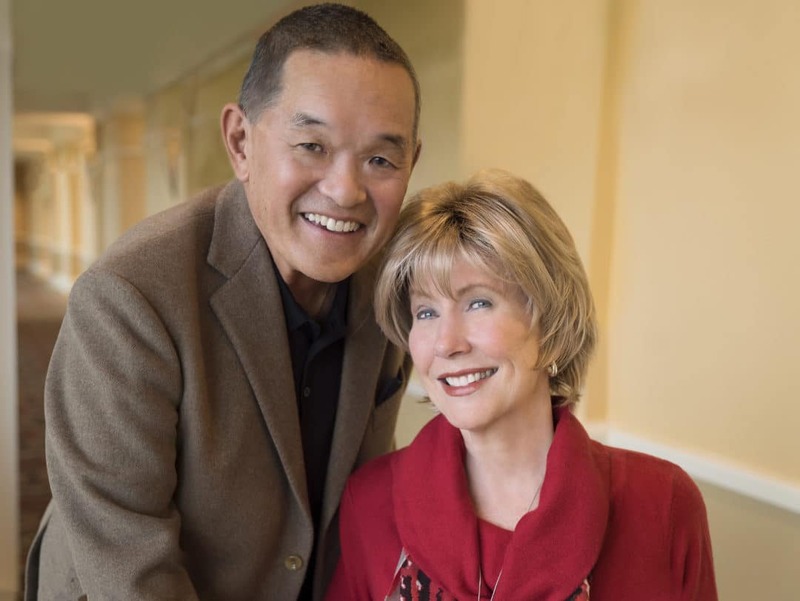 It’s not as the world gives, so my heart’s not troubled and I’m not afraid.” Then, they usually got a pep-talk from Ken Tada, a Joni book and a Joni and Friends newsletter :-). Yes, the photo is a little jarring, but that’s life. And I’m not shy to say that when life is hard (and we see it all the time at Joni and Friends), God is so very good – but we only discover how good when we get about his Acts 20:24 mission no matter where he places us. Even if it’s in a hospital for 2 weeks. Thank you for your prayers; I am now resting on the residual intercessions still reverberating before God’s Throne! Many, many blessings (and a special blessing on all you who sent texts and emails, notes, and posted on Facebook… I appreciated every encouragement)! It has been Joni’s prayer that this new cancer challenge becomes a platform for showcasing how amazing God is. 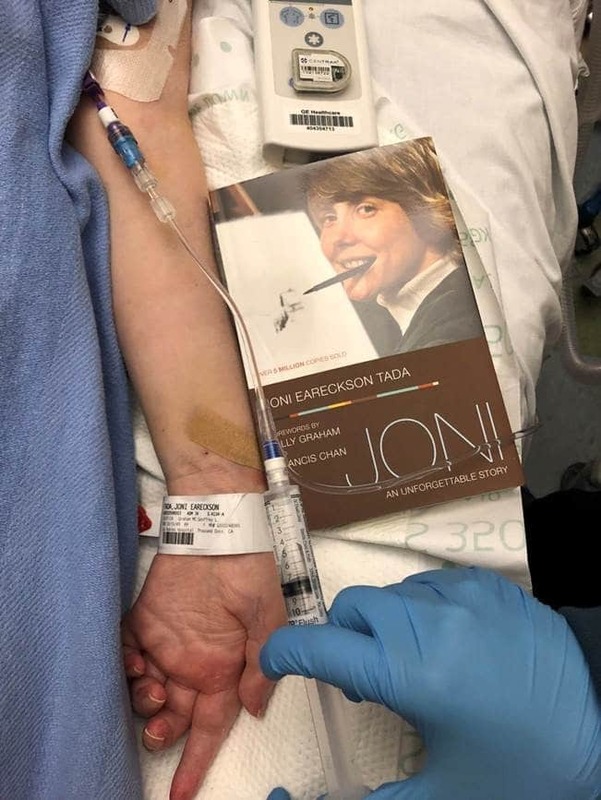 Stay up to date on Joni’s health and progress on the Joni and Friends blog. ← Health Update: Marvelous Release!